Shingled Roofing | Cedar Shake Roofing | Slate Tile RoofingReplacing your roof is often an emergency. Consequently, when it comes to roof replacement, selecting the best shingles is important, but choosing the right roofing contractor is frequently critical! This is when you are going to want to have Naperville Exteriors, Inc. on “speed dial!” Naperville Exteriors, Inc. has been installing roofing in the Greater Chicago Metropolitan Area since 2002, and we have a solid reputation among our suppliers, members of the community, and most importantly, our loyal customers. With Naperville Exteriors, Inc., we have your peace-of-mind on our mind! Often people don’t have any idea that they even have a roofing problem until it’s too late. We know that roofing shingles can start to wear after years of being exposed to torrential rains, heavy snows, and fierce winds. Simply stated, roofing shingles will begin to deteriorate and this can lead to severe and even permanent damage to both your roof and your home. Naperville Exteriors, Inc.’s professional roofing contractors can make any roof repairs you may need. Recently, many Romeoville residents have been taking advantage of Naperville Exteriors, Inc.’s free, in-home estimate. Our professional staff is able to help Romeoville homeowners in pinpointing their roofing problems and determining what kinds of shingles – Traditional Shingles, Cedar Shake Shingles or Slate Tile Roofing – they need to correct the problems. The roofing contractors at Naperville Exteriors, Inc. provide Romeoville, Illinois clients the best roof repair and roof installation available. Romeoville is located in Will County and it has almost 40,000 residents with nearly 9,000 households. Naperville Exteriors, Inc. knows that finding the finest roofing contractors can be a challenge. As a result, we strive to ensure that Romeoville clients are advised of all their options so they can make the most informed decisions. Our roofing team will assess the roofing situation of its Romeoville customers and will thoroughly explain to them the benefits of each of our shingle products. 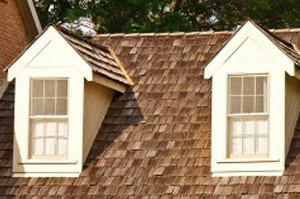 Naperville Exteriors, Inc. is their most dependable source regarding their roofing. In addition, Naperville Exteriors, Inc. offers the most capable roofing contractors to its Romeoville homeowners. No matter if it is a minor roof repair or a major roof replacement, Naperville Exteriors, Inc. has you covered. Trusting your roofing projects to us like your friends and neighbors already have is easy. Naperville Exteriors, Inc. has long been a leader in roof replacement services and roof repair. Naperville Exteriors, Inc.’s hard work and desire to serve its customers is what motivates them. For years, Naperville Exteriors, Inc. has repeatedly stressed the importance of a job done well. We know that our work and commitment indicate the kind of business we are, and Naperville Exteriors, Inc.’s staff constantly strives to meet the high standards set by our professional team of experts. To learn more about teaming up with Naperville Exteriors, Inc. for roof repair or roof replacement, call us, today, at (630) 254-4831. You’ll be glad you did!